"It just seemed like it was a diamond that needed to be polished." CLINTON, Tenn. — An empty plot of land in South Clinton will soon become a 450-acre park called Aspire. 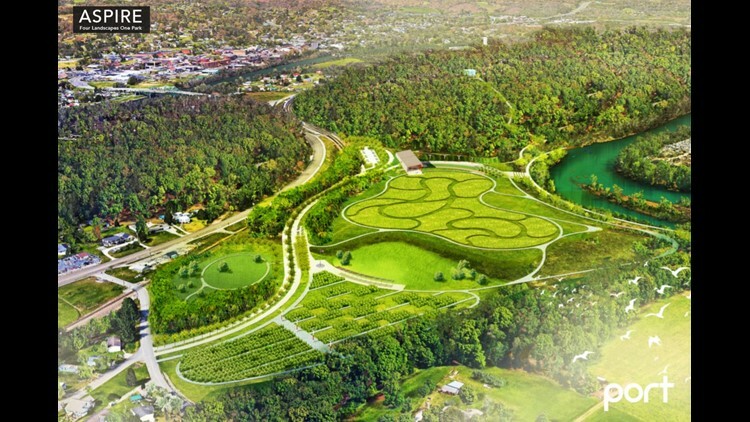 The Hollingsworth Foundation, a Clinton-based nonprofit, has been waiting at least a decade to build a massive park on the site with all sorts of amenities. "It just seemed like it was a diamond that needed to be polished," said president Joe Hollingsworth, Jr. The foundation owns 170 acres of land in Clinton, just south of the river and downtown. Next to that land, two islands sit in the river, and TVA owns 239 acres next door. Hollingsworth is working with TVA to use its land, and combine it all into 450 acres of outdoor recreation space. "They've been very nice to try to work with us on a recreation easement allowing us to do 18 miles of trails, mountain bike trails, hiking trails of various intensities all across the mountain," said Hollingsworth. They hope to make those trails nationally certified and recognized. 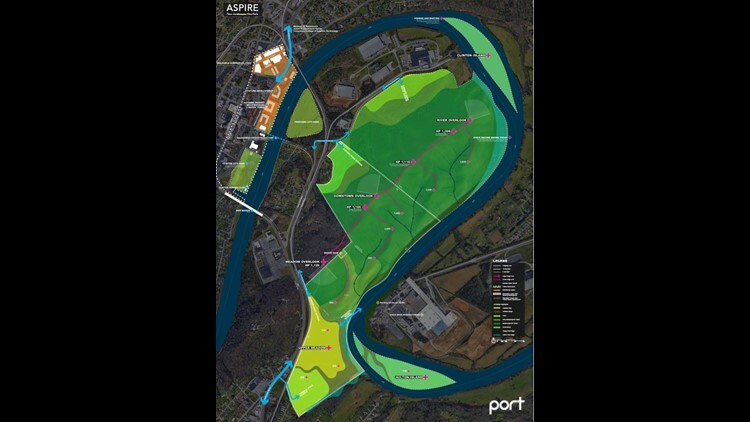 Plus, plans for kayak rentals along the river, event spaces, talks of a wedding venue and a beer garden all come together to make Aspire. "It's not just a park it's an experience," said Hollingsworth. "So when you come here it should be uplifting." Underneath about 40 acres of that land is fly ash from TVA's Bull Run Fossil Plant. TVA said the project was completed in 2001 as a demonstration project for fly ash structural fills. It's sealed off by a few feet of compacted clay. Hollingsworth said that won't affect the park. "We've tested it and we have drinking water standards so I don't know how much better it can get than that," he said. Aspire will be funded completely by the Hollingsworth Foundation, which has plans to maintain it for at least 100 years. "This is a town with so much upside and it's only recently begun to see that upside and so we just want to help facilitate that," said Hollingsworth. The Clinton City Council voiced its support of the project at its meeting Monday. Pending all approvals, Hollingsworth plans to break ground on Aspire this fall. When finished, it'll be free for the public.